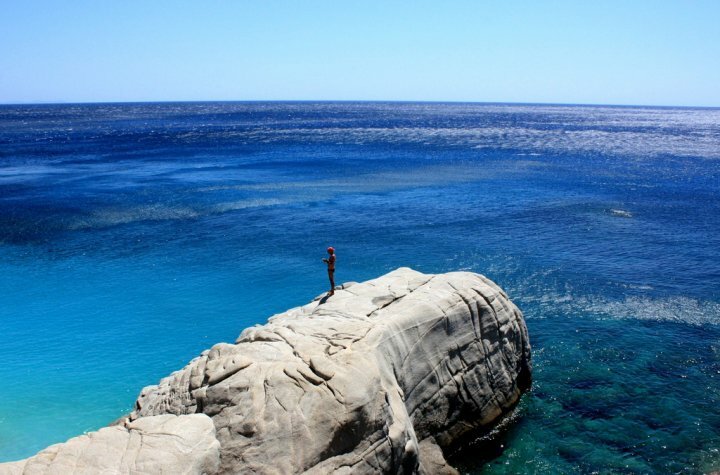 Ikaria looks like a paradise to the eyes of visitors, due to the fact that in every little corner of this island landscapes of exotic beauty are hidden and bound to remain forever etched in memory. Follow the many walking trails within the green nature and let them lead you to rivers, waterfalls, beautiful beaches, ancient and Byzantine monasteries and other significant archaeological sites. Small picturesque villages, some of which are climbed up the isolated peaks of mount Athera and some next to the deep blue sea, wait for the visitor to discover their long history that goes back for many centuries. 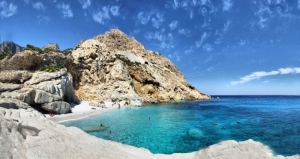 Ikaria or, as the locals use to call their island, Nikaria is located in the southeast Aegean Sea between the islands of Samos, Mykonos, Patmos and Chios. It covers a total area of 255 square kilometers and their population reaches about 8.312 residents (according to Census 2001). 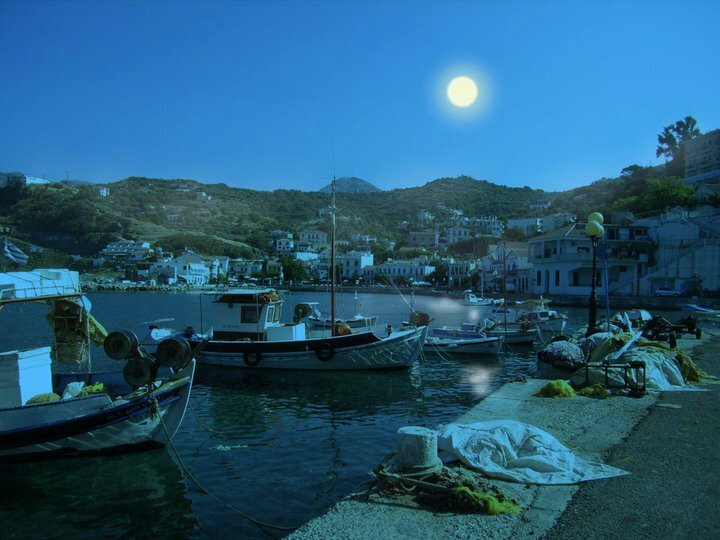 Ikaria belongs to the prefecture of Samos, along with the islands of Samos and Fourni. 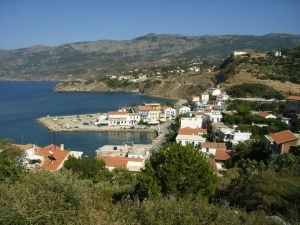 The principal town of the island as well as its main port is Agios Kirikos. 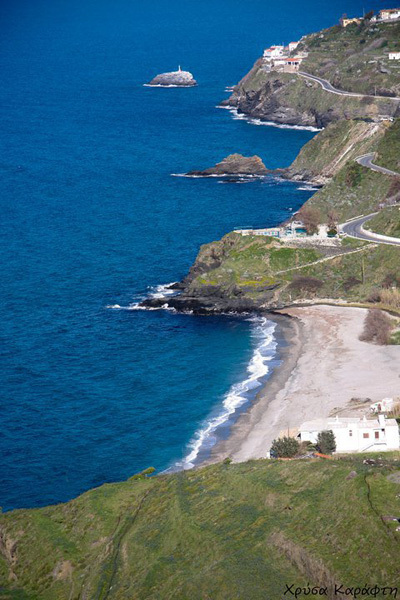 Ikaria has been well- known since antiquity for its saline hot mineral springs and their healing qualities. 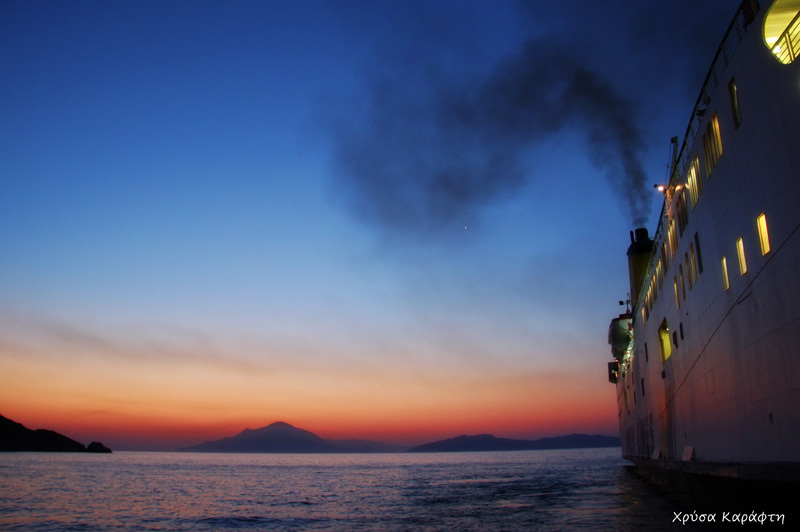 The island has taken many different names through centuries, such as Makris, Dolichi, Ichthyoesa, and Anemoesa. It owes its current name to the son of Daedalus , whose name was Ikarus. 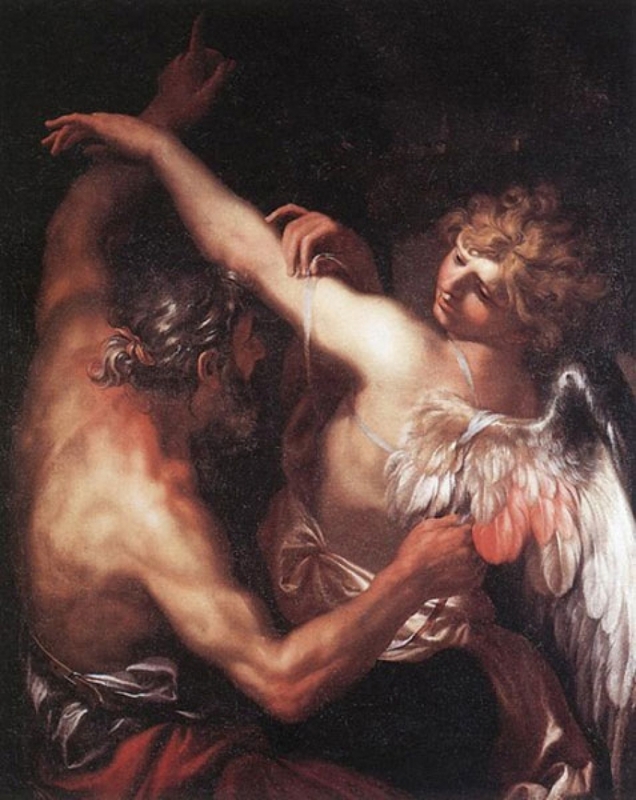 According to Greek mythology, Ikarus was drowned in the sea near the island when he disobeyed his father’s advice not to fly too high (close to the sun); thus his wax wings melted and he fell into the sea. 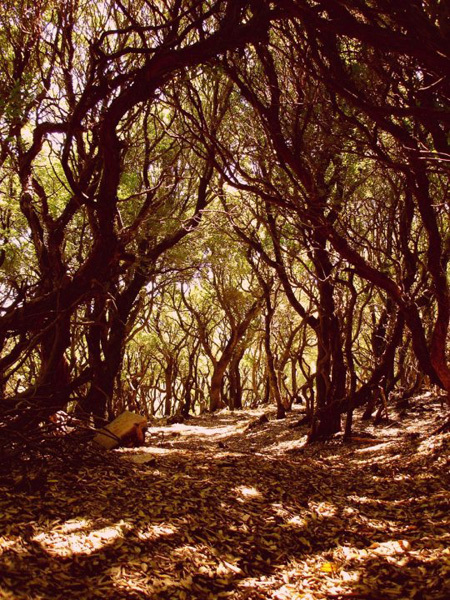 The island of Ikaria is mountainous, with many peaks and few valleys. Along the island rises the mountain Atheras with its highest peak, Melissa, at 1040 meters. 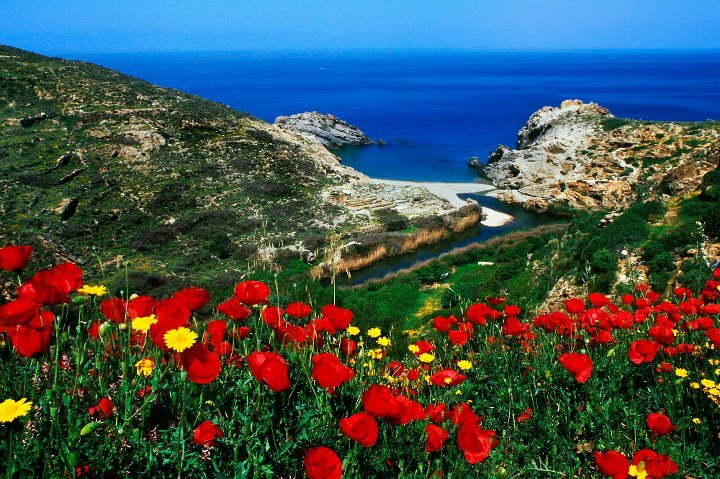 The biggest valleys are located in Campos (northeastern part of the island) and Faros (central part of the island). 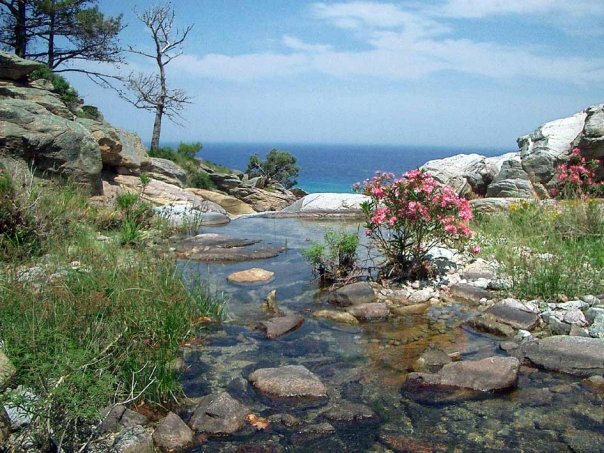 Ikaria is famous for its lush vegetation, streams and rear species of animals and birds which find refuges in the wilderness. 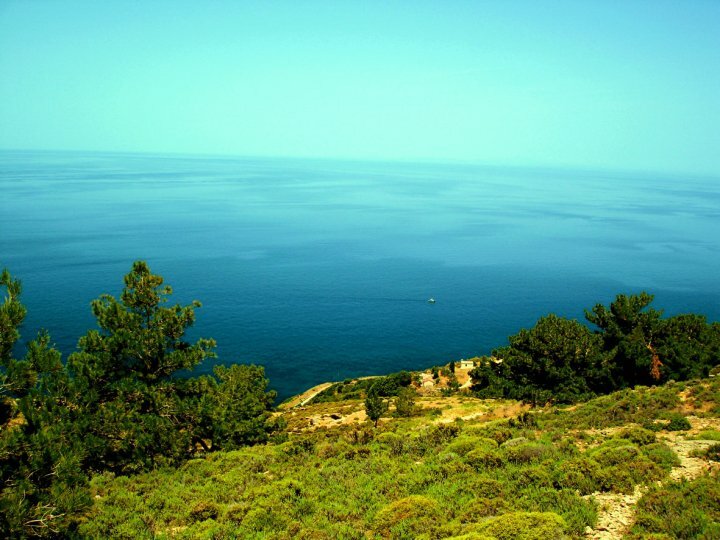 The climate is temperate Mediterranean, with mild winters, hot summers and plenty of sunshine throughout the year. 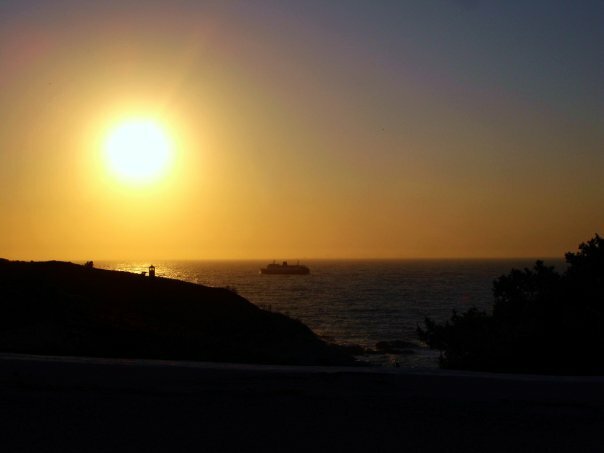 The inhabitants of the island are mainly engaged in agriculture, fishing, shipping, farming, bee-keeping and tourism. Wine, olive oil and honey are the main products produced there. Beautiful beaches with crystal clear blue waters surround the island. Endless beaches, emerald shores where icy rivers end up and picturesque small coves are hidden among the green hills and cliffs of the island. 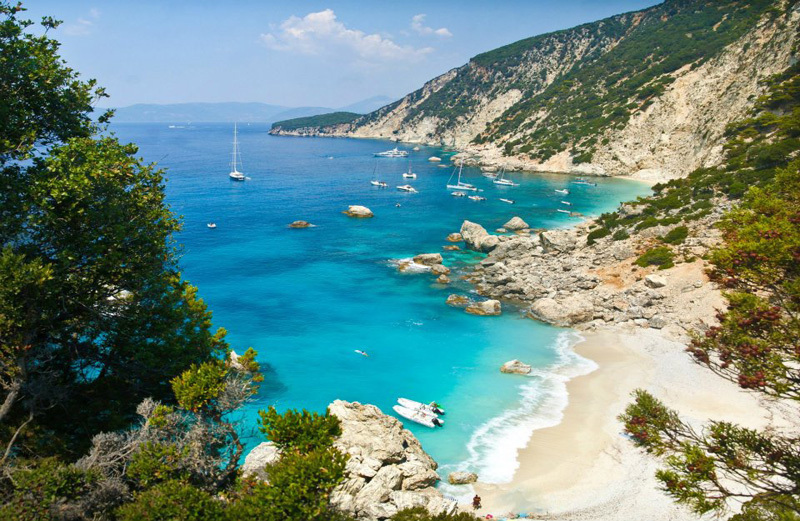 Ikaria, with its dense pine forests, wild streams, large waterfalls, lush valleys and hot springs, resembles an earthy paradise. It is no coincidence that this idyllic island is the home of the oldest people in the world! 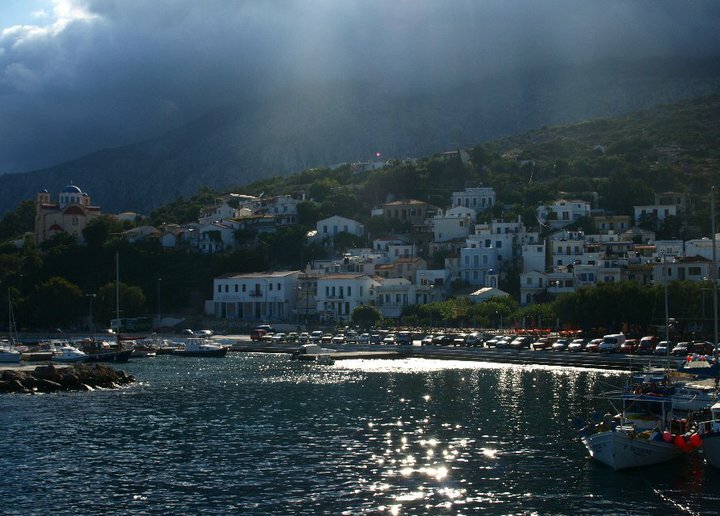 In the island’s picturesque small villages are often organizes traditional feasts where you can taste local delicacies made by the descendants of the mythical Ikarus. Enjoy a glass of Karyes wine, make friends with the hospitable locals and you may be lucky enough to discover the secret of longevity!